Glossy Instagram images, brand endorsed videos… influencer marketing has paved the way for the social influencer. And it would seem there are little to no boundaries or barriers. 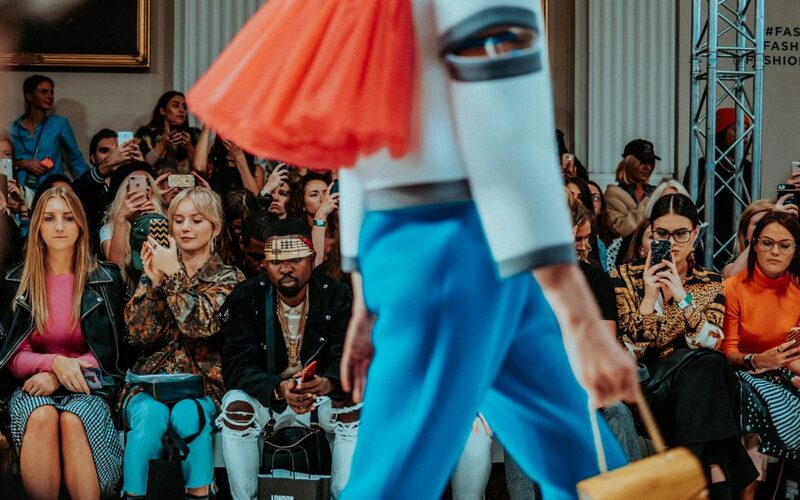 Yes, the Kardashian empire may spring to mind, but it would seem that anyone can become an influencer in our digital world. I’ve now even heard people talking about being an 'Instagrammer’ as a legitimate career. So what does it mean to be an influencer? Most influencers have two things in common – reach and a specific topic. Having reach, or large social following, brands see influencers as a critical ally in their marketing activity. Why? Because people are no longer searching for brands, people are eager to trust people, especially those of influence. 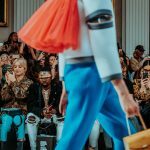 Influencers also tend to focus on a particular topic – fashion, travel, food, technology – this can all be attractive to brands trying to win new custom, and attractive to people looking to purchase, a win-win for the influencer. But does it all need to be about fashion, food, and travel? The simple answer is no. Forward-thinking organisations are looking to recruit influential people to their business and also use this model to develop their current teams into people of influence – after all, people buy from people – so what better way for personal growth, business development and to win new contracts! With the TUC just yesterday announcing its ambitions of the four-day working week it makes you stop and think about the current state of the workplace and begs the question, why are we still working in the 18th century? You see our eight-hour workday was introduced during the industrial revolution, at a time when we were working 16 hour days. That was until Mill Owner and Social Philanthropist Robert Owen, campaigned for the working day to be cut in half, and the eight-hour workday was born – eight hours labour, eight hours recreation, eight hours rest. And whilst that was revolutionary in eighteenth century britain, it was 200 years ago and yet we are still working to those basic principles. In fact, on average we work for 8 hours and 58 minutes a day, receive 192 emails, spend 2 of those hours in meetings, drink 2.7 cups of tea and grab just 15 minutes for lunch, often sat at our workspace. It’s staggering to think we spend nearly 9 hours a day working, yet research suggests we are only productive for 2 hours and 53 minutes a day. Surely it’s time now for the shift, a change in the way we work? We may have lost the work balance, but we have the power to change it all. 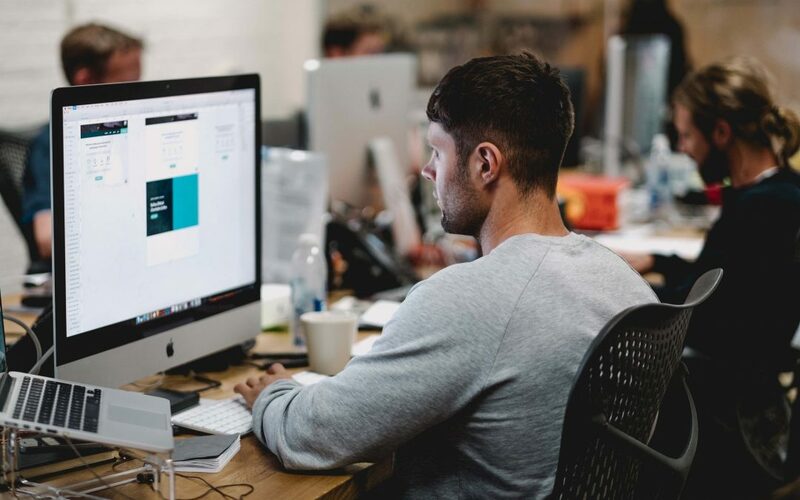 We are seeing sparks of change, with the likes of PWC who are now telling their new recruits to choose their working hours, this is something that SME’s over the country are steadily adopting to help combat absence at work and give people the opportunity for a life beyond the 9-5. I believe there is a solution to adopt flexible working practices alongside the use of technology and digital advances to help us create a better balance that in turn will make us more productive at work and promote better health and well-being. I’m not talking highly technical systems only used by the digitally savvy, I’m talking easily implementable tips and tricks that anyone can use at any level to make a positive impact on their day and see them working less time but getting more done. Myself and my team are already doing this as part of our daily working practices, you may have heard me talking about working 4 x4, and we are also working closely with businesses and organisations to help them trial this in their workplace. Interested in hearing more, contact me for a chat. Since presenting ‘A Vision for 2030, that could actually happen’ I’ve been doing a lot of thinking and something, in particular, has been keeping me awake at night. Initially, I created the ‘vision’ as a way of showcasing to people what could actually be possible in our future – flying cars, local cryptocurrency, smarter living, virtually live entertainment – but the thing that has really stood out to me is the approach to working life. We are all busy people, especially when it comes to work. How many times have you had that frustrated conversation with a partner, friend or colleague about ‘not enough hours in the day’ and the terrible work/life balance? Whilst people’s time becomes more filled with endless tasks and unrealistic expectations, the working world is having a dramatic effect on not just overall productivity but our mental health and well-being. 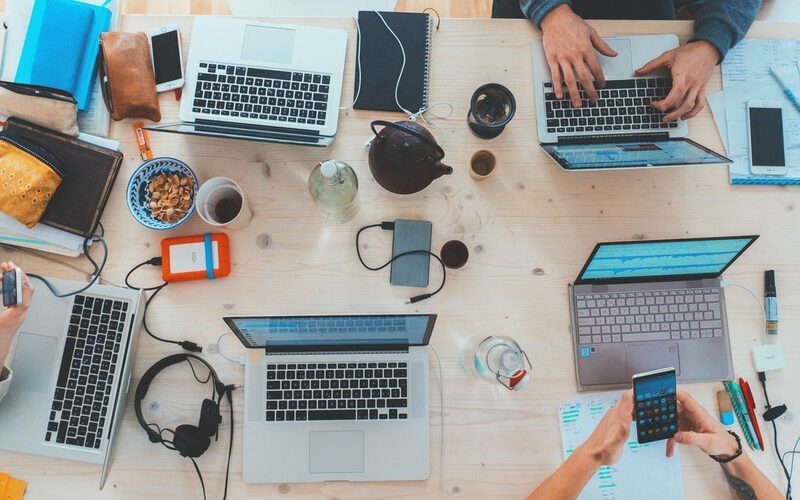 On average we work for 8 hours and 58 minutes a day, receive 192 emails, spend 2 of those hours in meetings, drink 2.7 cups of tea and grab just 15 minutes for lunch, often sat at our workspace. It’s staggering to think we spend nearly 9 hours a day working, yet research suggests we are only productive for 2 hours and 53 minutes a day. Since researching the way we work it’s become even more apparent that we’ve lost the balance BUT we have the power to change it. The future workplace doesn’t need to be all about a 9-5 mentality with people shackled to desks, spending too much time juggling it all. I introduced my idea about the ‘4×4’ way of working at a business steering group and since then have been testing the water with people I meet. The 4×4 scheme in simple terms would see us working 4 hours a day, 4 days a week. Sounds good? Most people’s reaction is a resounding yes, but why work like this and can we actually achieve this in reality? Well, I believe we can. The 4×4 scheme will enable us to work in a more productive way, whereby we actually get stuff done, we structure our time better and our mental and physical health improves. It then allows us greater flexibility and frees up time to spend with family and friends and impacts local economy. Luxembourg is the most productive country in the world, yet they work with fewest hours, 15 hours less a week. I believe that digital and flexible working practices are key to making this work. I’ve got some great ideas about how this can work in reality, across different sectors and the tools and systems that would help make this happen, but ultimately we need people to champion this and to see it being led from the top with CEOs and Directors seeing the value that this can bring to their business and their people. I truly believe in the 4×4 scheme. I’ve already put together the details and I’m looking to speak with more people who are interested in finding out more about this. We are all humans, looking to get the very best out of life, let's step outside the 9-5 and shake things up for the better. We have never lived in a time like now. I woke this morning to read the latest: Our 8 hours working day is killing us, sitting at our desks is the new cancer, virtual reality means we will never leave the house again, we are addicted to social media and our mobile phones, our kids can only talk with their thumbs, oh and I almost forgot to mention that the robots are taking over. Don't watch this if iRobot freaked you out. But nobody watches the terrestrial news anymore, do they? No we are online. Spending 3 hours and 33 minutes a day on social media. Yet these old methods have now spilled over into the digital landscape – meaning we can't escape. We have the opportunity to use digital and technology to make life better! Your future is whatever you make of it, so make it a good one. …And this is the opportunity we have. So don't listen to the negativity. Look at what's real. Cut through the 'Fake news' and "Clickbait'. Look at how YOU can win every single day by embracing technology and digital. It can help you you save time on your workload, combat stress. reach more people, achieve your goals or even make money doing the thing you love. You just have to dig a little deeper and don't get put off by the jargon and the so called experts. That's the world we live in. That's today. Let's make the future good one! 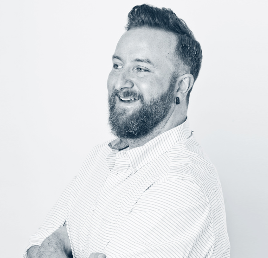 Simon McCaskill – Digital trainer, speaker and super geek. Widespread artificial intelligence, biohacking, new platforms and immersive experiences dominate this year’s Gartner Hype Cycle. Waiting curbside for an Uber or Lyft driver might one day be the old-fashioned way of getting around. Instead, passengers will need to head to the helipad to catch a ride from a flying autonomous vehicle. Not only will these future taxis take to the sky to potentially reduce traffic, they’ll operate independently of a human pilot. Realistically, the world (and the technology) aren’t quite ready for autonomous flying taxis. The first challenge will be mastering the autonomous technology, which is still at least five to 10 years away. According to a recent test by the Insurance Institute for Highway Safety, today’s autonomous vehicle makers Level 2 driver assistance are not capable of driving safely on their own. The production vehicle that can safely drive itself anywhere, anytime isn’t available at the local car dealer and won’t be for quite some time. The concept of autonomous flying vehicles isn’t just for human passengers but can be applied to transport many other things such as medical supplies, packages, food delivery and more. Companies are actively investigating this technology as a way to deliver same-day packages or regularly send supplies to remote locations without a pilot. These are a real possibility in the next decade. Fully autonomous flying vehicles are an easier problem to solve in some cases than autonomous vehicles on the ground because the airspace is highly controlled and there are fewer variables such as humans. However, while there will be unique regulatory and societal challenges (e.g., where would all the helipads go, and how do we prevent crashes? ), flying autonomous vehicles are one of 17 new technologies to join the Gartner Hype Cycle for Emerging Technologies, 2018. The Gartner Hype Cycle focuses on technologies that will deliver a high degree of competitive advantage over the next decade. 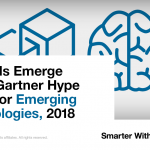 This year, Gartner organized the 17 technologies into five major trends: Democratized artificial intelligence (AI), digitalized ecosystems, do-it-yourself biohacking, transparently immersive experiences and ubiquitous infrastructure. 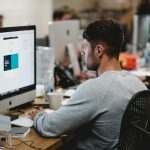 “As a technology leader, you will continue to be faced with rapidly accelerating technology innovations that will profoundly impact the way you deal with your workforce, customers and partners. The trends exposed by these emerging technologies are poised to be the next most impactful technologies that have the potential to disrupt your business, and must be actively monitored by your executive teams,” says Mike Walker, research vice president at Gartner. AI, one of the most disruptive classes of technologies, will become more widely available due to cloud computing, open source and the “maker” community. While early adopters will benefit from continued evolution of the technology, the notable change will be its availability to the masses. These technologies also foster a maker community of developers, data scientists and AI architects, and inspire them to create new and compelling solutions based on AI. For example, smart robots capable of working alongside humans, delivering room service or working in warehouses, will allow organizations to assist, replace or redeploy human workers to more value-adding tasks. Also in this category are autonomous driving Level 4 and autonomous driving Level 5, which replaced “autonomous vehicles” on this year’s Hype Cycle. Autonomous driving Level 4 describes vehicles that can operate without human interaction in most, but not all, conditions and locations and will likely operate in geofenced areas. This level of autonomous car will likely appear on the market in the next decade. Autonomous driving Level 5 labels vehicles operating autonomously in all situations and conditions, and controlling all tasks. Without a steering wheel, brakes or pedals, these cars could become another living space for families, having far reaching societal impacts. Emerging technologies in general will require support from new technical foundations and more dynamic ecosystems. These ecosystems will need new business strategies and a move to platform-based business models. “The shift from compartmentalized technical infrastructure to ecosystem-enabling platforms is laying the foundation for entirely new business models that are forming the bridge between humans and technology,” says Walker. For example, blockchain could be a game changer for data security leaders, as it has the potential to increase resilience, reliability, transparency, and trust in centralized systems. Also under this trend are digital twins, a virtual representation of a real object. This is beginning to gain adoption in maintenance, and Gartner estimates hundreds of millions of things will have digital twins within five years. 2018 is just the beginning of a “trans-human” age where hacking biology and “extending” humans will increase in popularity and availability. This will range from simple diagnostics to neural implants and be subject to legal and societal questions about ethics and humanity. These biohacks will fall into four categories: technology augmentation, nutrigenomics, experimental biology and grinder biohacking. For example, biochips hold the possibility of detecting diseases from cancer to smallpox before the patient even develops symptoms. These chips are made from an array of molecular sensors on the chip surface that can analyze biological elements and chemicals. Also new to the Hype Cycle this year is biotech, artificially cultured and biologically inspired muscles. Though still in lab development, this technology could eventually allow skin and tissue to grow over a robot exterior, making it sensitive to pressure. 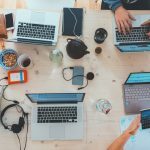 Technology, such as that seen in smart workspaces, is increasingly human-centric, blurring the lines between people, businesses and things, and extending and enabling a smarter living, work and life experience. In a smart workspace, electronic whiteboards can better capture meeting notes, sensors will help deliver personalized information depending on employee location, and office supplies can interact directly with IT platforms. On the home front, connected homes will interlink devices, sensors, tools and platforms that learn from how humans use their house. Increasingly intelligent systems allow for contextualized and personalized experiences. In general, infrastructure is no longer the key to strategic business goals. The appearance and growing popularity of cloud computing and the always-on, always-available, limitless infrastructure environment have changed the infrastructure landscape. These technologies will enable a new future of business. For example, quantum computing, with its complicated systems of qubits and algorithms, can operate exponentially faster than conventional computers. In the future, this technology will have a huge impact on optimization, machine learning, encryption, analytics and image analysis. Though general-purpose quantum computers will probably never be realized, the technology holds great potential in narrow, defined areas. A second new technology in this trend is neuromorphic hardware. These are semiconductor devices inspired by neurobiological architecture, which can deliver extreme performance for things like deep neural networks, using less power and offering faster performance than conventional options. 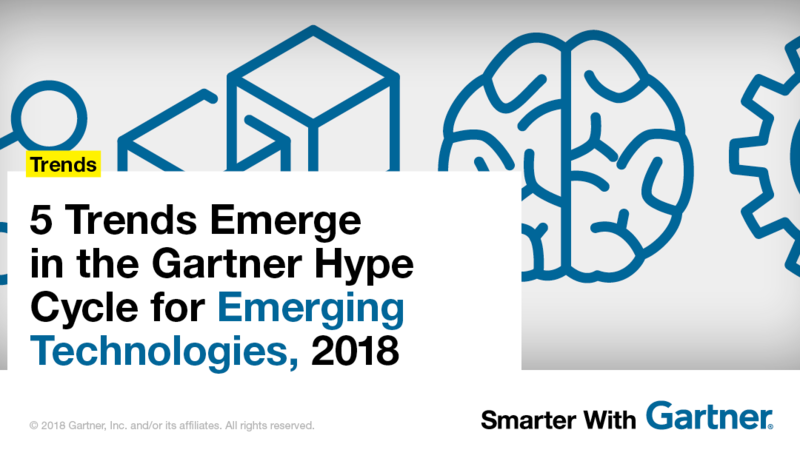 Gartner clients can read the full report in Gartner Hype Cycle for Emerging Technology, 2018 by Mike Walker. This research is part of the Gartner Trend Insight Report “2018 Hype Cycles, Riding the Innovation Wave.” With profiles of technologies, services and disciplines spanning over 100 Hype Cycles, this Trend Insight Report is designed to help CIOs and IT leaders respond to the opportunities and threats affecting their businesses, take the lead in technology-enabled business innovations and help their organizations define an effective digital business strategy.